Raising an Honest Child - What Can Parents Do About Lying? June 14, 2018 /0 Comments/in For Educators /by Darko S.
Honesty is something children learn and develop during their early years. All children lie at some point in childhood, so it’s important for parents to learn to distinguish between different kinds of lies and understand that there are different reasons why children lie. Not all lies are equally bad or have the same consequences. Parents play an important role in guiding and directing this kind of behavior, so they need to be well equipped and familiarized with the issue in order to act appropriately and help their children be more consistently honest. There are numerous reasons why a child would tell a lie in a social situation. It may be to avoid or escape imminent punishment (“I didn’t break the vase!”), or to obtain material benefits (“I ate my soup, can I have a dessert now?”) . It may be that they’re not honest for an entirely different reason – they lie to get out of doing something they don’t want to do (e.g. homework), or because they’re just mirroring what adults around them are doing, or perhaps they’re not old enough to know the difference between truth and a lie. Furthermore, children with low self-esteem may lie to impress others in order to feel more secure about themselves, or in general, to get attention. In the first few years of life, children may indicate or say things that aren’t true. These should not be taken as lies, but rather as mistakes, since the child does not yet fully understand the difference between what is the truth and what is not. Their “lies” can be seen as a product of their not differentiating fantasy or wishful thinking from reality. Lying in early childhood is related to adaptive cognitive and social functioning – so it’s pretty normal for young kids to lie – but it can become a problem behavior as they reach late childhood and adolescence . Primary lies begin at 2-3 years of age when children learn to deliberately make untrue statements. These falsehoods are not that frequent and are usually told to avoid getting into trouble after violating a rule. 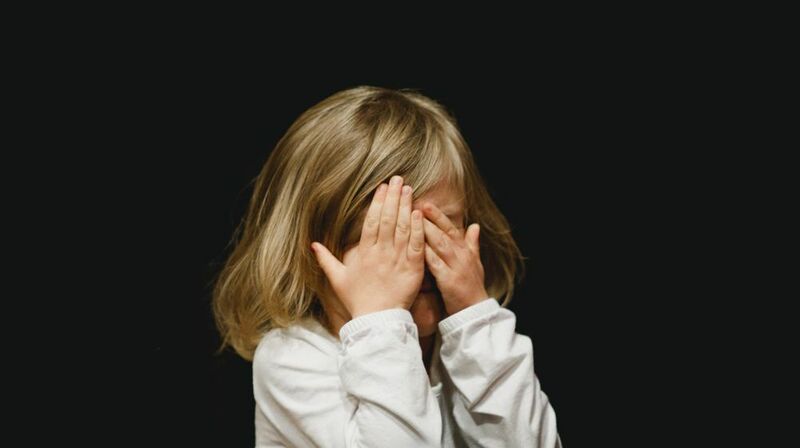 Such early falsehoods may be a rudimentary form of intentional verbal deception, but children more often than not confess their transgression when asked about it by adults. Secondary lies reflect a significant shift that takes place between 3 and 4 years of age. During this period, the majority of children will readily tell a lie to conceal their own transgression but are not yet completely capable of making a lie consistent. Their deception is usually easily detected by adults. At this age, children also start to lie to be polite, to benefit someone else, etc. Tertiary lies emerge around 7 to 8 years of age. Children’s lies become more sophisticated and well controlled, and they seem more plausible. A child will tell a lie and make sure their subsequent statements don’t contradict the initial lie, which makes it difficult for other people to tell the difference between the lie and the truth. Antisocial lies, or “self-serving” lies, are motivated by self-interest and are used to avoid punishment, or even to harm others. Their occurrence at an early age is important because it shows that children are able to grasp that their deeds and thoughts are not evident to others. In other words, antisocial lies imply that a child has developed a sense of self and has a rudimentary understanding of the mental states of others (e.g., Mom will be angry if she knows I did something wrong). Prosocial lies, more often called “white lies”, are positively and socially motivated and are told without malicious intent. For example, children can lie about enjoying a meal their friend’s parents have made, because they don’t want to hurt their feelings. Knowing when to tell a white lie is an important skill in life. There are situations where it’s not OK to simply tell the truth because it can unnecessarily hurt someone’s feelings. Of course, this doesn’t mean people should always lie to avoid hurting someone. Parents need to take into account circumstances that lead to children’s dishonesty so that they can properly respond to these kinds of behavior. Lying to gain some benefit is not the same as lying to make someone feel better. If the lies are well intended and are prosocial, there’s not much a parent should do, except try to show the child that there are other responses that are both kind and truthful. This can be done by modeling their responses to others so the child can see it can be done. These responses are, however, not easy to come up with, so it’s completely OK for parents to sometimes just acknowledge the prosocial lie and thank the child for trying to make them or others feel better. On the other hand, when faced with more serious lies on a regular basis, parents need to act and correct this kind of behavior in their child. What Can Parents Do About Lying? – Point out the lie. If a young child is making up stories and telling tales that are obviously not true, try pointing out this behavior and ask them to try and tell the story again. They must learn that other people can tell if they’re being dishonest, and that they can’t get away with lying without anyone noticing . – Teach them that truth always finds a way. Explain to them that lies are difficult to hide, as they will eventually come out in the open. This can often be seen as a take-away message in cartoons, movies, books, etc. and when that happens, be quick to point out that lying didn’t quite turn out be useful in the end. – Introduce some consequences for lying. For example, if a child lied about not having any homework and went out to play, and you find out they actually did have homework, you should let them know there will be repercussions for this behavior, and make sure they sit down and do all the required work. On the other hand, it’s crucial that the consequence is something short-lived, that it only serves to remind them that this behavior is not desirable, so they can get back to practicing honesty . Rather than focusing on undesirable behavior, it’s better to focus on encouraging the positive. That’s why we’ll also discuss some ways to encourage honesty in your children. – Make them confess a transgression indirectly. Never call your child a liar. To avoid a showdown with your children, rather than asking them directly if they’ve broken the lamp, you should try saying “Look, my lamp got broken”. The idea is not to make them feel accused of the crime and cornered, but instead give them space to come clean about it themselves, without pushing them into it (such as by saying “Did you have anything to do with my lamp being broken?”) . – Be a role model. As with any kind of behavior, children learn by watching their parents. If you want your children to be honest, then you have to be honest – with them as well as with others. For example, make them know it’s better to openly say you don’t feel like doing something than coming up with excuses. Children have to feel comfortable talking to you without having to conceal anything, regardless of the consequences, and the only way to accomplish this is for you to be honest with them, too. – Appreciate their honesty. When a child comes clean about doing something wrong, besides telling them there will be consequences, be sure to praise them for their honesty. If a transgression isn’t too serious, you should relieve them of consequences and let them know that’s their reward for being honest. Also, explain to them why it’s important to tell the truth. Friends and family members should trust one another and you can’t build a relationship based on lies. It’s important to once again acknowledge that all children lie, but some of them do it chronically (and for no reason), which can become a serious problem as they grow up. If your child manifests this kind of negative behavior, you should think about talking to a professional about it. Here at Nobel Coaching & Tutoring we have amazing coaches who can help you define the specific problem and help get your child through it. Talwar, V., & Crossman, A. (2011). From little white lies to filthy liars: The evolution of honesty and deception in young children. In Advances in child development and behavior (Vol. 40, pp. 139-179). JAI. Talwar, V., & Lee, K. (2008). Social and cognitive correlates of children’s lying behavior. Child development, 79(4), 866-881.